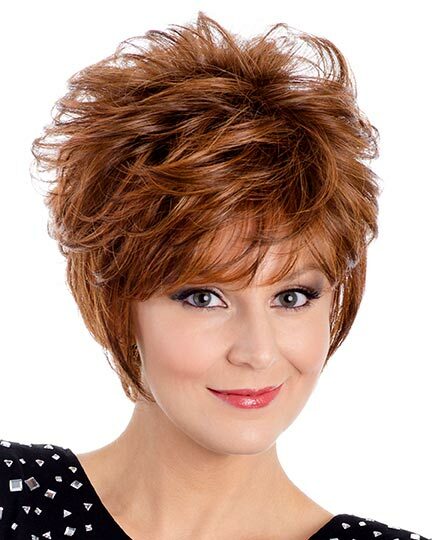 Bangs 3", Crown 3-4", Sides & Back 2 1/4-3", Neckline 2 1/4"
Impression by Alan Eaton is a contemporary, short, layered style. 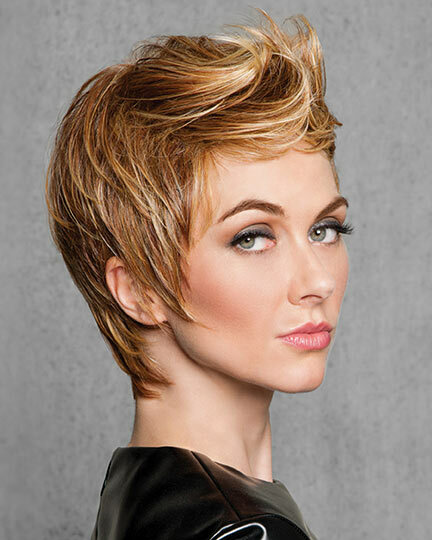 Impression has Alan Eaton's heat resistant style-to-go synthetic hair blend. 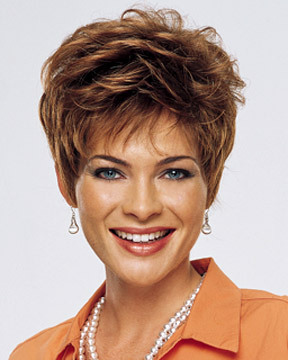 If you were to search for Impression at a brick and mortar wig salon its name is Alan Eaton Voque. 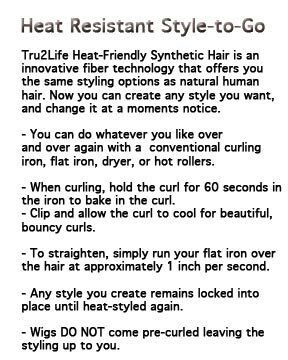 With Impression you can style it as you like with a conventional blow dryer, curling iron, or hot rollers ... and create a new look each day. 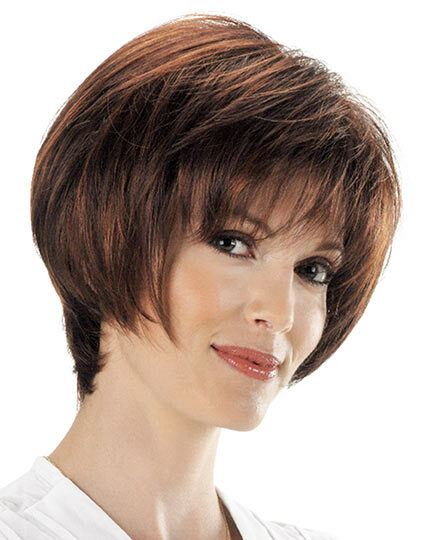 Impression does not come pre-curled so you get to choose the style you want. There are 14 colors available for Impression. If you would like to discover other products that share some of Impression, 2XD's qualities try the links below.